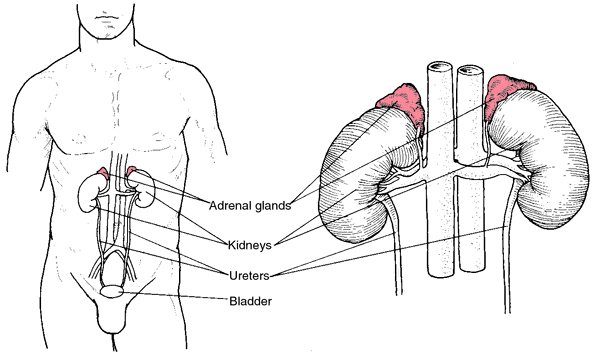 Miscellaneous tumors and tumefactive lesions of the adrenal gland. 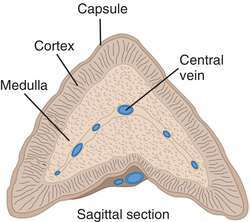 Similar to that found in SYT cavies, Kmiec and Kaczmarczyk (2004) studied the cellular composition of medullar region of adrenal gland in Cavia porcellus and observed the granular appearance of vesicles present in chromaffin cells. Some surgeons recommend resection when tumour size is greater than 5-6 cm since potentially malignant tumours of the adrenal gland also manifest as nonfunctional tumours. We excluded those cases where they had any condition potentially affecting adrenal gland morphology (e.
Extrapulmonary TB, involving bilateral adrenal glands, right cervical, and multiple intra-abdominal lymph nodes was highly suspected. 14) The plasma levels of ACTH tended to be slightly higher 2 weeks after ipsilateral adrenalectomy than after adrenal-sparing surgery, suggesting a potential hypo-functioning adrenal gland. The fetal zone of the adrenal gland Medicne 1953: 32: 389-430. 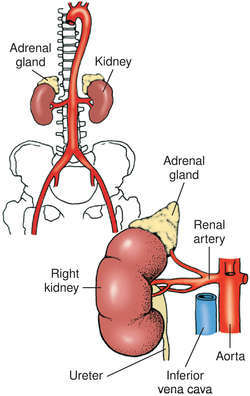 It is now known that the adrenal gland consists of two ontogenetically, structurally and functionally distinct endocrine tissues, the cortex and the medulla. The thyroid and adrenal glands work in conjunction to manage energy in the body, so supporting the thyroid gland always supports the adrenal glands indirectly (note: taking thyroid hormone without proper adrenal function can burn out the adrenal gland to an even greater extent, as thyroid hormone increases the degradation of adrenal hormones through detoxification pathway--which may answer why some patients feel even worse on thyroid medication). Such tumor masses in adrenal gland are removed usually by open surgery with big flank incision", says Dr.
Cushing's Disease is normally caused by benign tumours of a part of the brain called the pituitary gland, though in a minority of cases the adrenal gland itself is affected. It's a complete workbook packed with solutions perfect for any who suspect adrenal gland issues, and will be a choice for any general lending library as well.